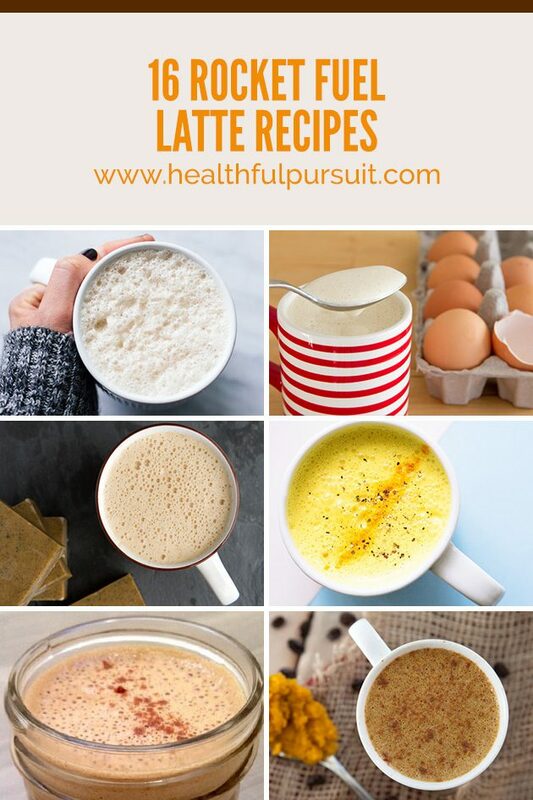 16 keto Rocket Fuel Latte Recipes to kick start your morning and help your body burn fat all day long. When eating keto, Rocket Fuel Lattes are an awesome tool to have under your belt. 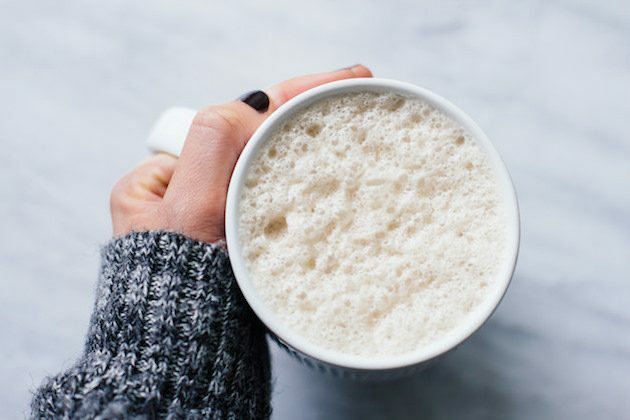 Similar to keto Bulletproof Coffee, the keto Rocket Fuel Latte is a high-fat, keto drink that helps our bodies shift into fat-burning mode and gives us steady energy all morning long. If that isn’t enough, starting your day with a drink full of healthy fats can bust cravings, increase mental clarity, and regulate hormones. 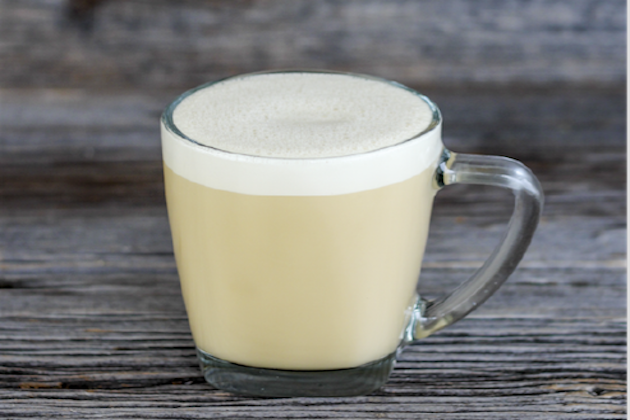 Prepare your keto Rocket Fuel Latte with coffee as the base, or your favorite tea if you’re sensitive to caffeine. There are endless variations to make these high-fat keto concoctions, and I’ve collected a few of my favorites to share with you. 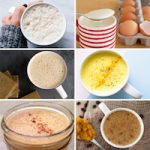 If you plan on practicing a bit of intermittent fasting with your Rocket Fuel Latte, I suggest choosing from the first set of keto recipes below. These particular keto recipes were specially crafted to keep your body in the fasted state and boost fat-burning even more. If you simply want to supplement your breakfast or snack with a delicious drink packed with nourishing fats, feel free to choose from any of the following keto recipes. 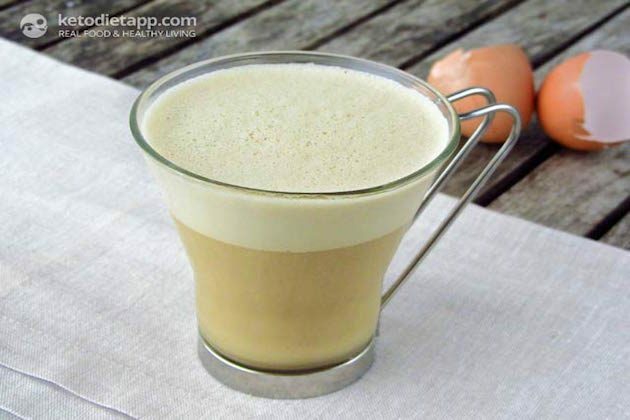 The original keto Rocket Fuel Latte! Featuring creamy cacao butter that’s oh-so satisfying. 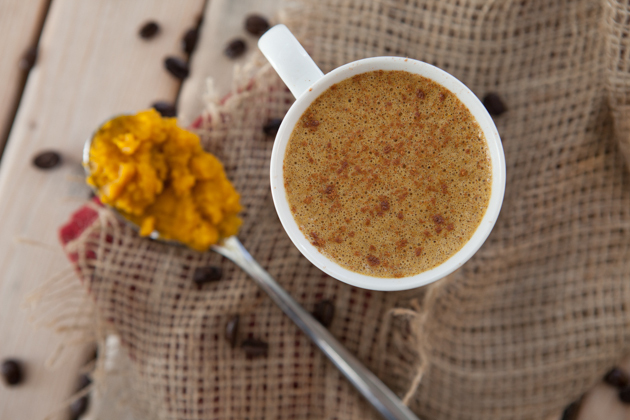 A healthy, high-fat, keto alternative to the famous #PSL. 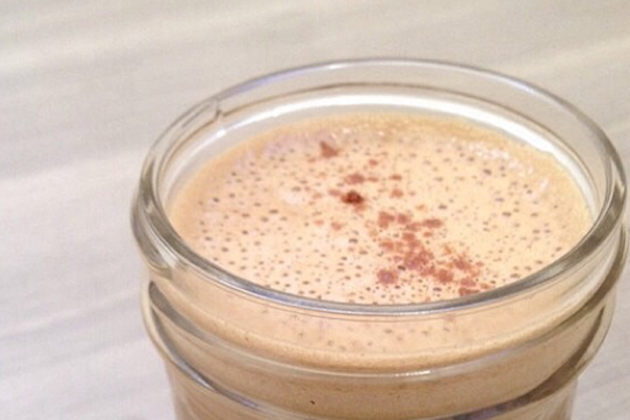 Turbocharge your day with this real-food based pumpkin spice latte instead! 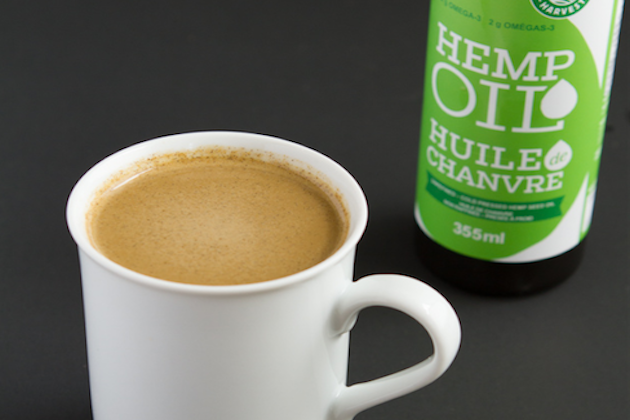 By using hemp oil, you can sneak chlorophyll and vitamin E into your high-fat keto drink. 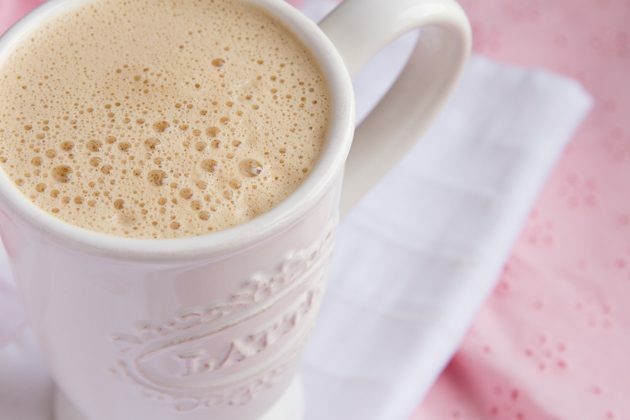 With flavors of earthy hemp and vanilla, this keto Rocket Fuel Latte is a must-try! Enjoy during the holidays, or any time of the year! 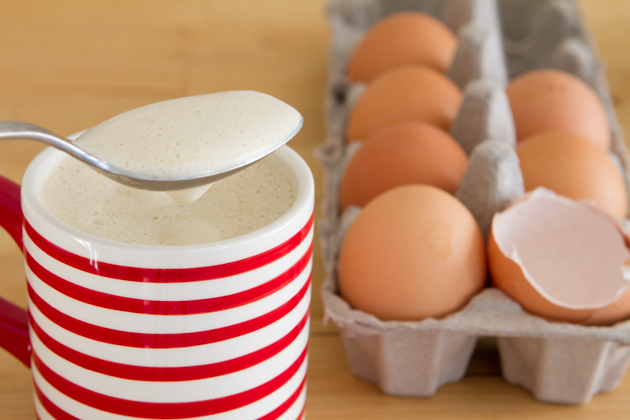 The egg yolks in this keto recipe add irresitible richness and creaminess. 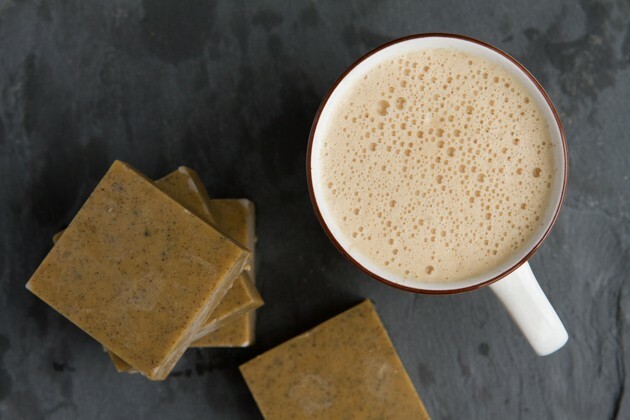 Take your fat-burning keto Rocket Fuel Latte on-the-go with these travel-friendly coffee blocks. Just drop a block in a hot cup of coffee or tea and froth it up! 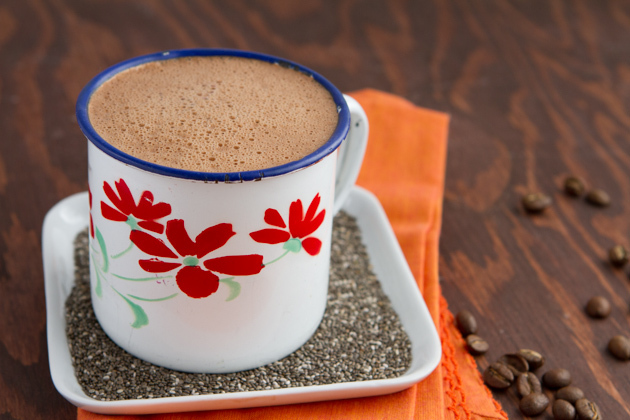 Bulletproof-style coffee with a twist, chia seeds! Add chia seeds to your blended keto coffee to pump up your daily omegas, balance blood sugar and boost fiber intake. 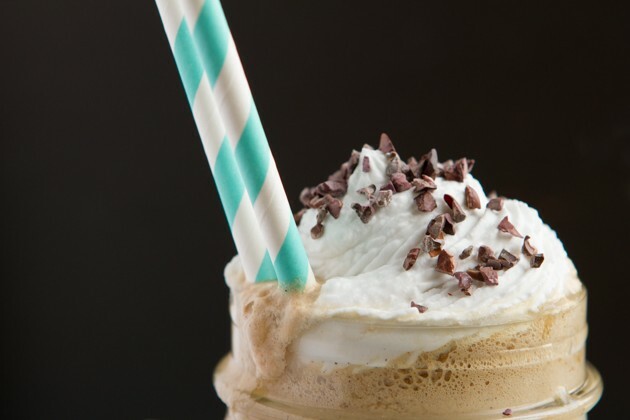 The most mouthwatering fat-filled, keto drink to enjoy on a hot day. Way healthier than a frappucino. It’s vegan, too! 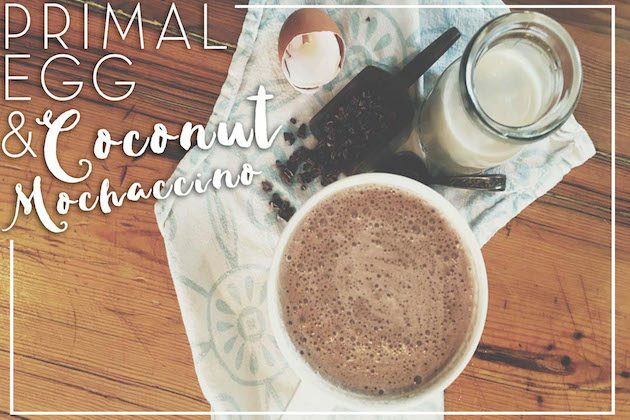 Start your day with this deliciously decadent keto mocha to satisfy your sweet tooth and fuel your body! The name says it all! Uplift your body and mind by savoring this highly nourishing keto drink for breakfast. High in fat and protein, this keto drink would make an excellent meal replacement in a pinch. Replace the butter with coconut oil or cacao butter to keep it dairy-free. Not much of a coffee drinker? No worries! 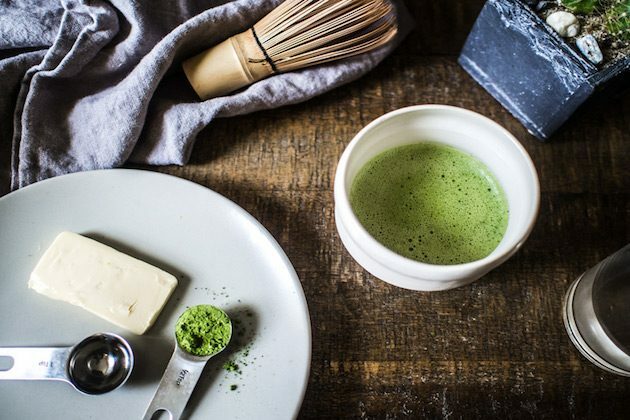 Try this matcha-based high-fat keto drink instead. Replace the butter with coconut oil or cacao butter to keep it dairy-free. 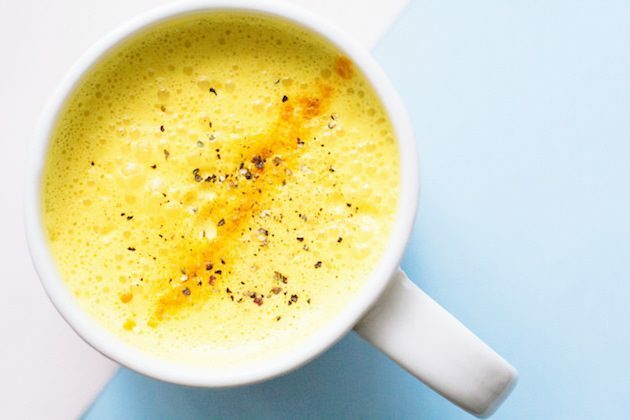 Turmeric milk is a great alternative to coffee or caffeinated tea, and it’s boasting with so many health benefits! Replace the honey with a few drops of stevia to keep it keto. If you’re in the mood for more of a savory drink, this is the keto recipe for you! 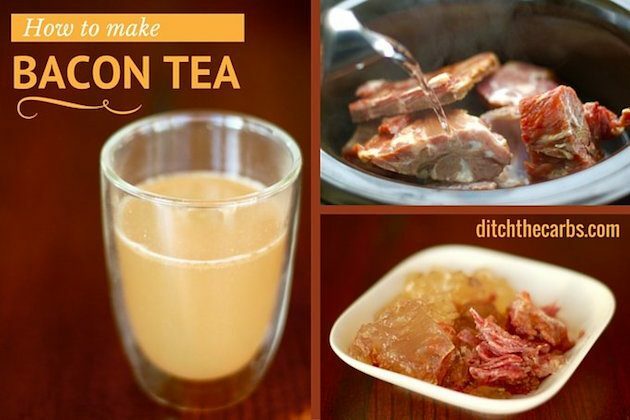 Bone broth is a keto superfood and a fantastic way to start your day. To keep this recipe dairy-free, replace the butter with coconut oil or cacao butter. This keto chocolatey delight will curb your cravings and keep you fueled for hours! Replace the honey with a couple drops of stevia to keep it keto and replace the butter with coconut oil or cacao butter to keep it dairy-free. This keto drink is truly magical! Both in how it makes you feel and the way it tastes. To keep it dairy-free, replace the butter with coconut oil or cacao butter. 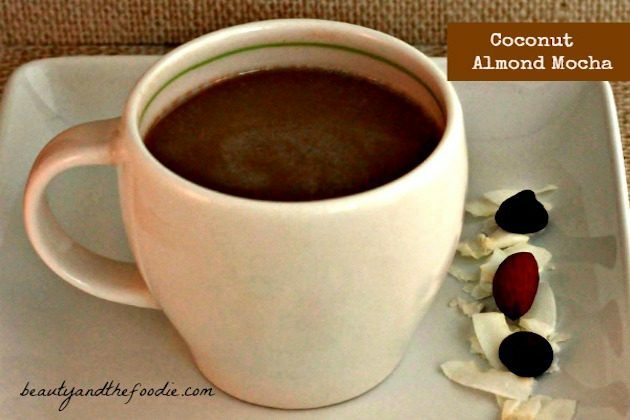 So simple, and it totally qualifies as being a high-fat, keto drink. Sip on this bacony-goodness to get going in the morning!